Oliver and I woke up on a Sunday morning and decided what we had to do was make a cup of tea. Outside. 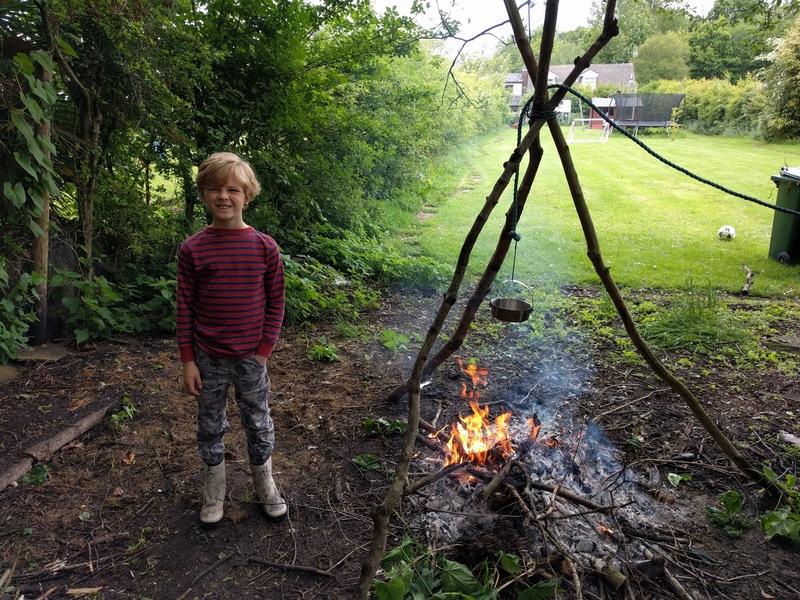 We built a fire and burned off a load of rubbish we wanted to get rid of. Whilst that was going on we found three likely looking branches and sawed them to roughly the right lengths. Recycled some wire from a chain link fence to tie them all together and gave it a whirl. 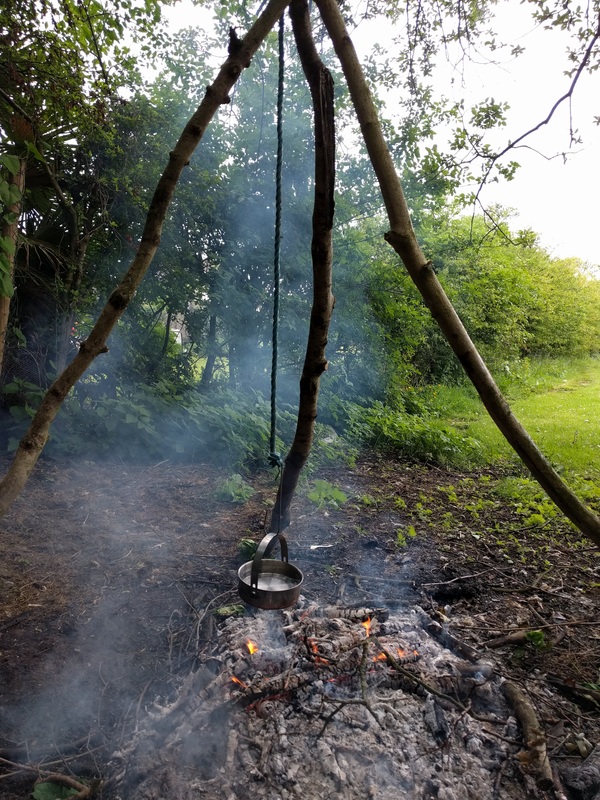 For Mk 1 we were using rope to suspend our Billy can. It worked ok as a short term solution. Also, I forgot to put the lid on. Emma came down when all the hard work had been done and there was tea that needed drinking. 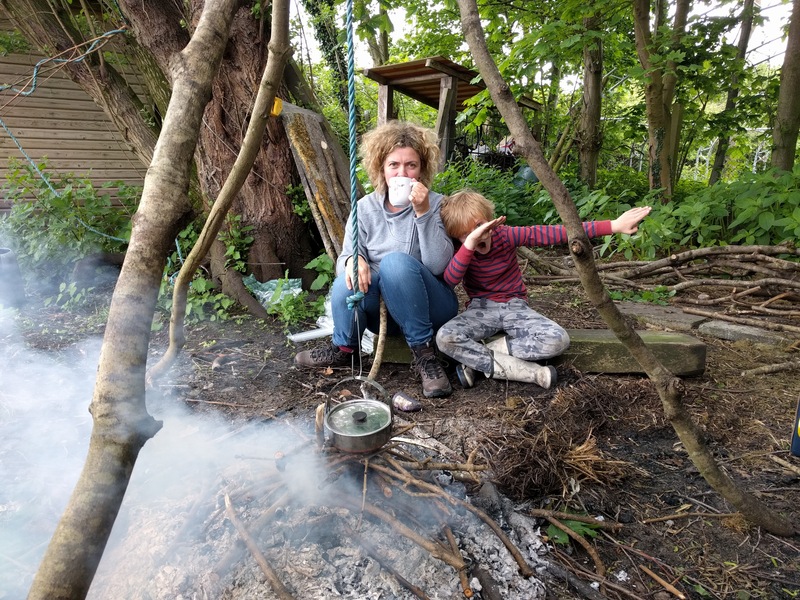 Oli doesn’t really drink tea so he gave a celebratory dab. For Mk 2 I recycled some chain off an old gate that I had lying around. 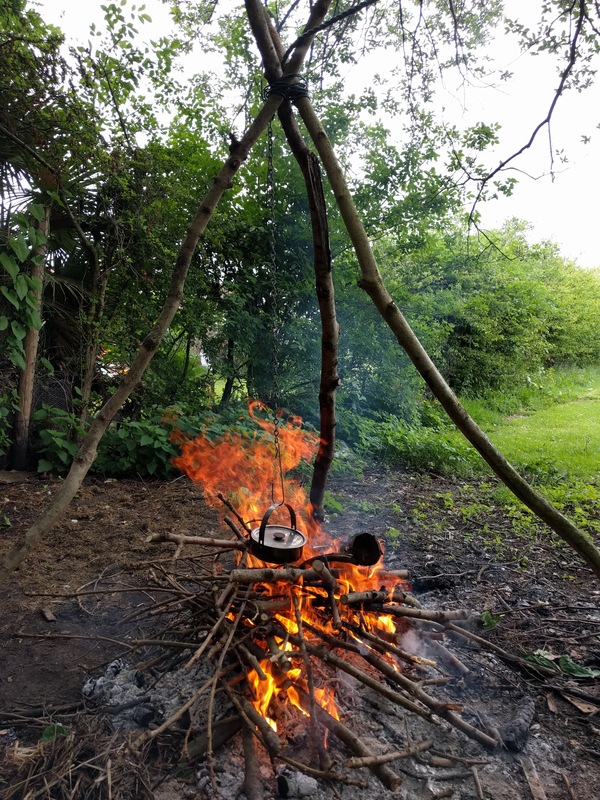 We also discovered we could only make one cup of tea per Billy can so this time I made the fire a lot hotter to make my cup of tea more quickly.